To prepare for our unit on ISIS we will spend Tuesday and Wednesday this week going over some background information about the Islamic State. How ISIS Works (New York Times Article) Originally published in 2014 this article provides a useful overview of the organization, its structure, funding, weapons, etc. VOX: The Rise of ISIS in 6 Minutes A quick overview of ISIS and the rise of radical Islamic terrorism from the original fight against the Soviet Union to today. Auditing ISIS (Planet Money) I know that I am biased and really enjoy NPR's Planet Money, but this is a great episode regardless. This episode examines in detail the budget for an ISIS controlled territory. The simplistic answer that ISIS gets its money from oil is just that simplistic and as this podcast shows; oversimplifying ISIS and their resources will likely continue to result in underestimating ISIS's strength and over look effective ways to challenge and defeat this organization. Our next unit will focus on the Islamic State. To build background about this topic I would encourage you to check out some of the resources that PBS:Frontline has posted on their site. Frontline has a large collection of videos, photos, and articles about IS at the site listed below. For the next two weeks we will be looking at the changing nature of alliances in the Middle East. Please come and join Mr. Sixta’s students every Tuesday and Thursday (2pm-3pm) as we discuss topics impacting our world and how we can solve issues facing our country. This class will have weekly speakers, discussions focused on current events, and will use the Great Decisions Briefing Book. Our list of topics is below. Born out of an umbrella organization of Al-Qaeda in Iraq, the so-called Islamic State in Iraq and Syria (ISIS) burst onto the international stage after it seized Fallujah in December 2013. Since then, the group has seized control of a number of critical strongholds in the country and declared itself a caliphate, known as the Islamic State. 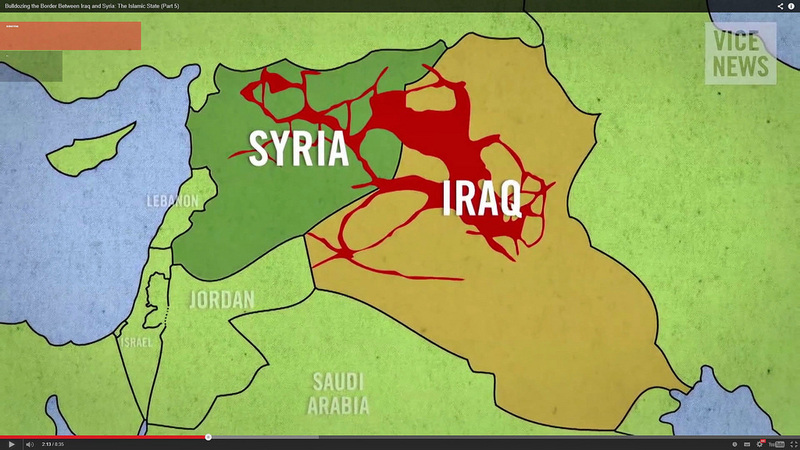 Still, the question remains: What is ISIS, and what danger does it pose to U.S. interests? Kurdistan, a mountainous area made up of parts of Turkey, Iraq, Iran, and Syria, is home to one of the largest ethnic groups in region: the Kurds. Now, most in the West know them for their small, oil-rich autonomous region in northern Iraq called Iraqi Kurdistan — one of the U.S.’ closer allies in the Middle East and a bulwark against the expansion of the so-called Islamic State. What does the success of Iraqi Kurdistan mean for Kurds in the surrounding region? As a record number of migrants cross the Mediterranean Sea to find refuge in Europe, the continent is struggling to come up with an adequate response. Although Europe’s refugees are largely fleeing conflicts in Syria, Iraq and parts of Africa, their struggle is hardly unique. Today, with the number of displaced people at an all-time high, a number of world powers find themselves facing a difficult question: how can they balance border security with humanitarian concerns? More importantly, what can they do to resolve these crises so as to limit the number of displaced persons? On the eve of the international organization’s 70th birthday, the United Nations stands at a crossroads. This year marks a halfway point in the organization’s global effort to eradicate poverty, hunger and discrimination, as well as ensure justice and dignity for all peoples. But as the UN’s 193 member states look back at the success of the millennium development goals, they also must assess their needs for its sustainable development goals — a new series of benchmarks, which are set to expire in 2030. With the appointment of the ninth secretary-general in the near future as well, the next UN leader is bound to have quite a lot on his or her plate going into office.